“The federal government must seriously set up an exclusive skills and tertiary education centre to hone the young. And this centre will take in talented Malaysians, irrespective of race and creed. “This is the only practical way to try and stop the brain drain. Let them pursue their preferred choice of academic programme and skills, and they will not leave Malaysia,” he added. 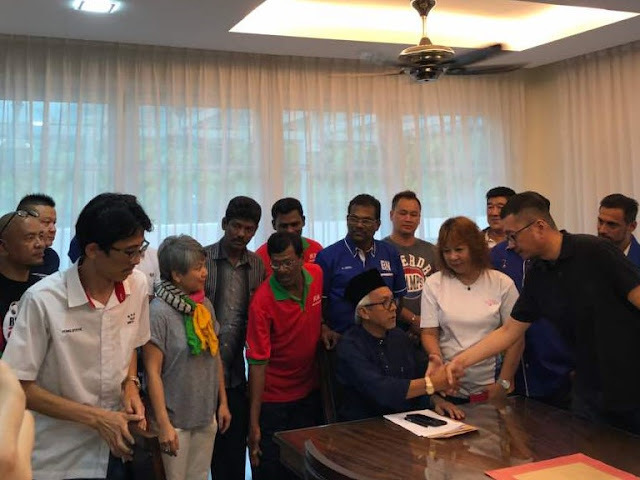 Syed Razak, who is Gerakan’s nominee to contest N.37 Bukit Lanjan in the coming 14th General Election (GE14), said no country could progress swiftly “if it does not seriously plug the brain drain problem”. 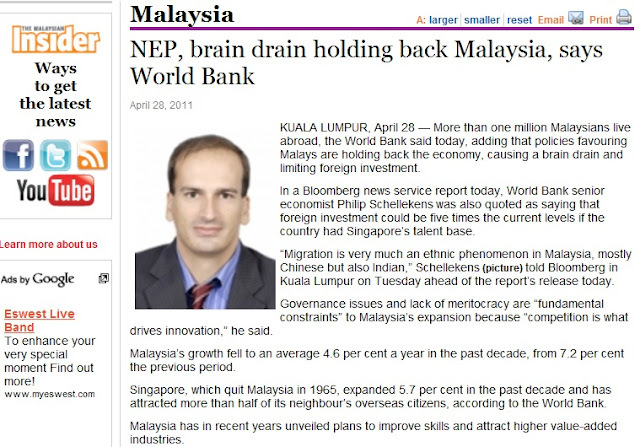 “Malaysia is striving to achieve developed nation status. It cannot hope to achieve such a status without an abundant supply of competent, quality and hardworking human capital with the right skills for the digital era,” he added. Local businesses are not transforming themselves fast enough to benefit from the digitalisation of the global economy, said Economic Planning Unit (EPU) deputy director general Johan Mahmood Merican. He said the companies are too reliant on cheap, unskilled foreign labour. Instead they should be reskilling and upskilling their ­existing talent pool by assisting them in learning new skills that are relevant in the digital age. Malaysian companies are also not taking advantage of the local talent pool. For instance, Malaysia has the third largest number of users offering their talents for hire on Upwork, an international ­freelancing platform. 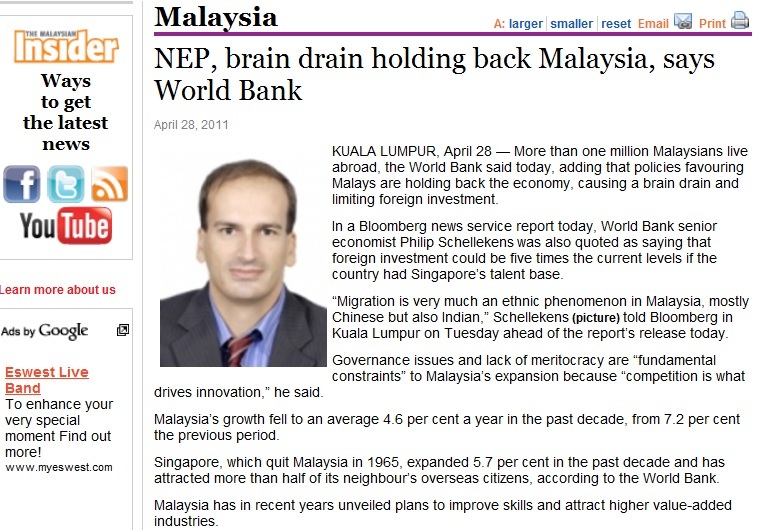 “We have a whole bunch of Malaysian talents sitting at home providing work for corporations around the world,” he said. 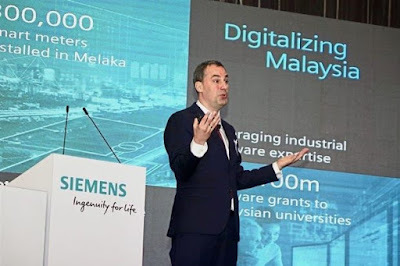 Siemens Asia Pacific power ­controls and digitalisation senior vice-president Amogh Bhonde said three key issues have to be addressed for Malaysia to have a world class digital economy. First, there needs to be digital equality. While statistics show that the mobile penetration rate is over 150% and most Malaysians on ­average own more than one ­smartphone, it might not be true in the rural areas. Secondly, we need to address the disruption due to digitalisation. Every time productivity is improved and new ways to do things are introduced, somewhere, someone might be losing his job. “We should be cautious of the flipside of that as well as it’s a ­societal issue that is not to be taken lightly,” said Bhonde. Lastly, he said the role of private sector is crucial. “In the Silicon Valley, the startup community is the key driver of the digital economy and the Government has mostly stayed out of the way,” said Bhonde. 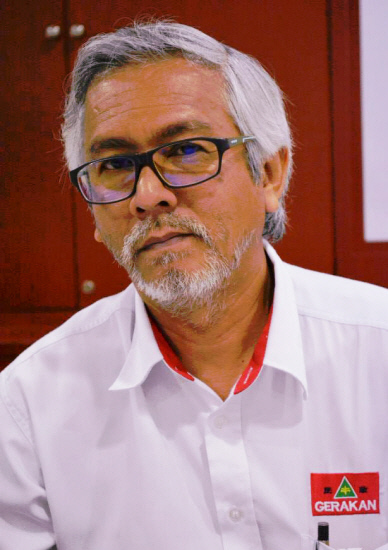 However, he believes that Malaysia is a unique case study as the Government, through its ­agencies and think tanks, is leading the way in developing the digital ecosystem." 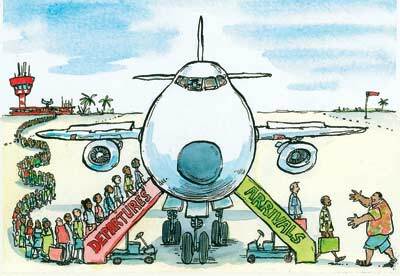 There are more than adequate world class talents but the country either has not identified them or chosen ti ignore them. You have an expat MD/CEOs running MAS and Celcom when we have available talent. If Malaysia doesn't know or recognize its own talents they might as well go abroad where they will.